Yemen is nothing like the rich Gulf countries of the Arabian Peninsula. Visiting this country means taking a ride to the past as it used to be; unaltered. The land where Noah’s ark began its journey, where the Queen of Sheba lived, and where Gilgamesh came to look for the secret of an eternal life. The land where mud skyscrapers rise from land contesting the heights of hilltop fortresses. Let’s take a look at some unusual places of such a land. Socotra Island is one of the many islands in an archipelago in the Indian Ocean. Its uniqueness lies in its seclusion from the rest of the world. The island is home to some exclusive species of flora and fauna that cannot be found anywhere else except here. 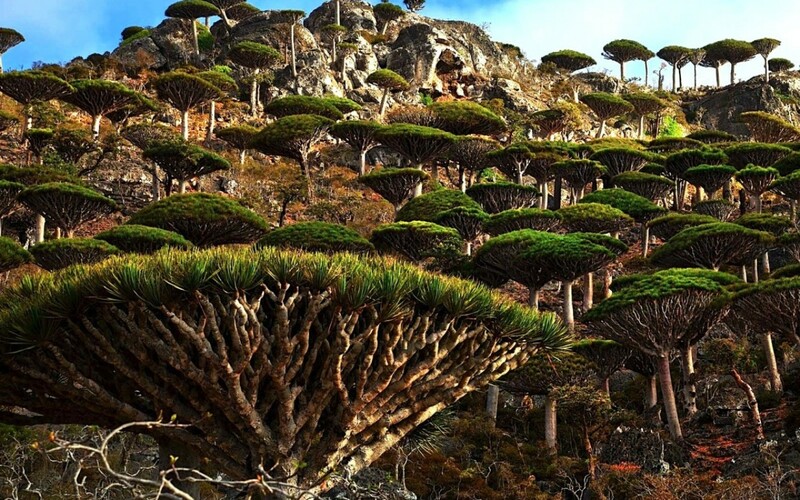 Dragon’s blood trees resembling flying saucers suspended on tree trunks are a common sight here. Adenium socotranum, these trees look as alien as the name sounds. If you want to picture these trees you can think of them as tree trunks that bear a resemblance to legs of an elephant with beautiful pink flowers growing on top. The only mammal inhabiting the island are bats. Socotra starling, Socotra sunbird, and Socotra grosbeak are some of the species of birds that are only found in Socotra Island. A lot of caves and shipwrecks can be found here. The island is devoid of any roads. Pertaining to its unique biodiversity, many people associate it with the paradise of Dilmun mentioned in the ancient Sumerian legends. 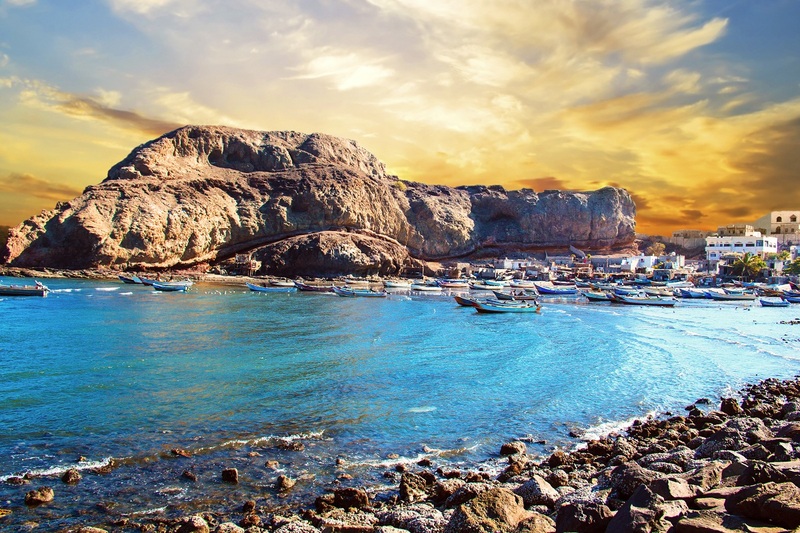 Being located at the edge of Yemen’s Gulf of Aden, it is also often considered to be the place where original Garden of Eden was located. The fortified village of Hababah used to be well known in the pre-Islamic period for being impassable. Not much of the fortification is left now however, the buildings and meandering lanes still have that charm that will remind you of Middle Eastern fairytales. Just in the middle of the village, a calm and beautiful water cistern is located. It’s definitely s sight to behold when the nearby stone houses with ornate and painted doors and windows are reflected in the surface of the water. Visit this beautiful village and spend some time around this water cistern for a tranquil experience. Dar al-Hajal is a stone palace in Sana’a that gives the illusion as if it was carved from the rock on which it is seated. Just so you know it’s not a usual castle that you’re used to seeing but it’s certainly worth visiting. This palace built in the Middle Eastern style was constructed in 1930s. A spiritual leader named Yahya Muhammad Hamiddin built it on top of an already existing structure constructed by another Islamic scholar in 1700s. Imam Yahya built the palace as his summer home equipped with all the facilities. Alas! He was killed in 1948 and the five storey palace was then turned into a museum. Not just the inside of it, but the exterior of the palace looks even more stunning. A place that looks like a structure straight from the pages of a Middle Eastern fantasy built atop a natural rock is something that every traveler should see. 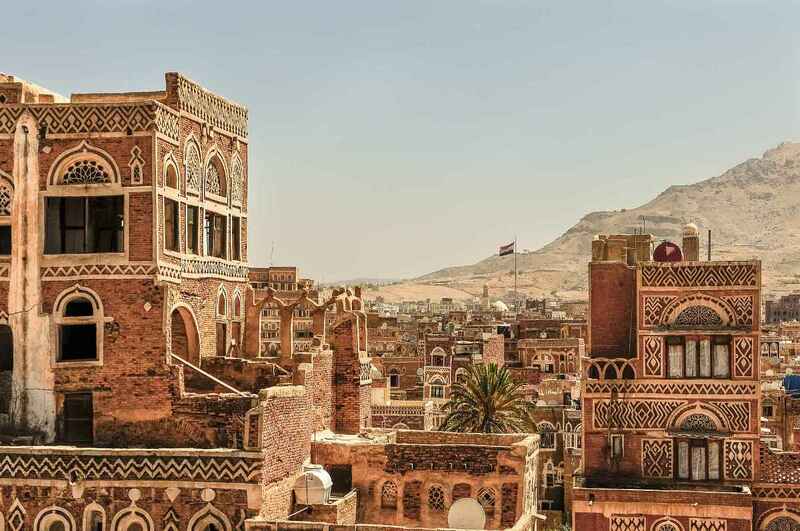 Zabid is another one of Yemen’s soul capturing and heart throbbing city that will make you interested in its culture and architecture. Home to centuries old buildings made of clay, brick, limestone, and wood and decorated with intricately designed patterns of all kinds such as flowers, animals, calligraphy and religious symbols including the Star of David. These beautiful patterns are influenced by the Arabic, African, and Indian traditions. Historical records point towards the existence of Zabid even in 631 A.D. The Great Mosque (Asa’ir) that was constructed in the 9th century in Zabid is still standing gracefully carrying its ancient magnificence with pride. This city is home to 86 mosques. Zabid’s population is a little over 800 people which implies that there is one mosque for every 10 persons. This fact makes Zabid the city with the highest concentration of mosques in Yemen. 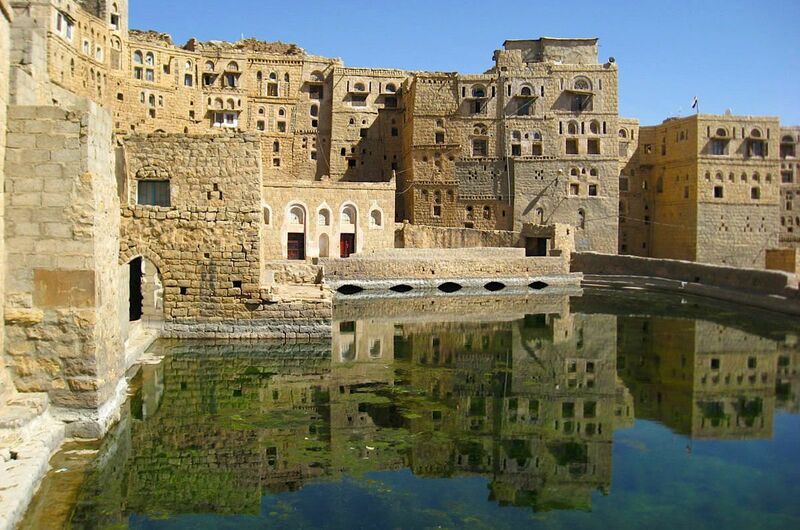 Shaharah is one of the most beautiful fortified villages of Yemen. This isolated village on the Arabian Peninsula is situated amidst fissures and gorges in a mountainous landscape at 2600m above sea level. The most interesting aspect of this village is that there is only one way to reach it. 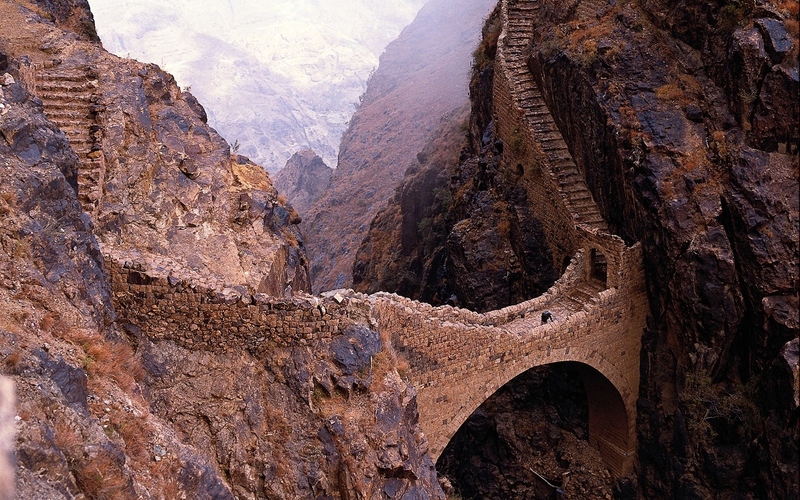 A massive arched stone bridge that runs over a mountain gorge. It was famous was being a centre of Islamic learning since 9th century. It was home to many well known scholars of that time. The geographically isolated position of the village as well as water cisterns and the terraced fields within the village made it self-reliant and almost inaccessible to conquistadors and their armies. 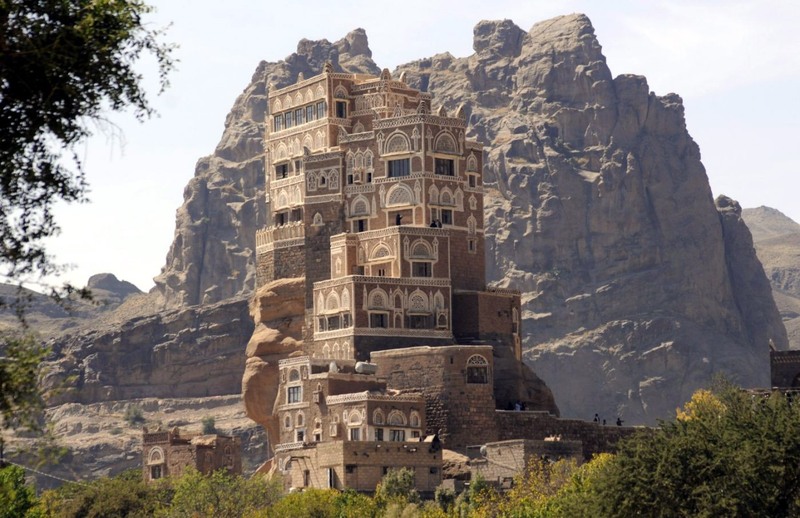 During the Yemeni Civil War of 1960s, the seclusion of the village came to light due to the air force. 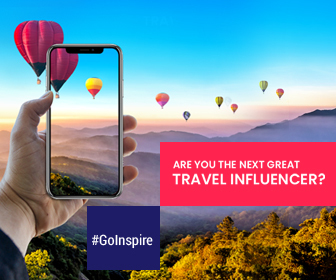 What should you know before going there? Shaharah is in Northern Yemen. Remember that this region has become a de facto war zone due to Shia Insurgency. However, the village is considered to be safe. If you’re not a citizen of Yemen, you will require a special permit from the Police Department of Sana’a to visit Shaharah. And if you manage to get a permit, do make many copies of the travel permit because you will have to submit a copy at every check point along the way to the destination. Put on your travel boots and get ready to experience this historical adventure land. *Disclaimer: Please check with your embassy on travel advisory to Yemen.